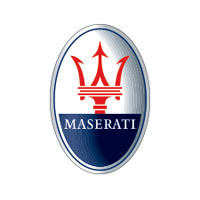 Combining speed, style and elegance, Maserati is an Italian legend. Protect the interior of yours with our high quality, hardwearing tailored car mats. Cut from the original Maserati templates and supplied with all the fixings for a perfect and simple installation, they are fully customisable right down to the colour and style of the edge trim. Manufactured and hand finished in the UK, they are waterproof, fire retardant, and covered by the original manufacturer’s warranty. From the thickness of the rubber to the quality of the carpet, our car mats can be tailored to your personal needs and taste. Choose one of our existing logos or have us design a custom one for you, add your own text, and let us worry about delivering them swiftly to your door.